It’s a jungle out there! If you’ve ever worked in an office you know what I mean. Stock up on these Rhodia essentials and thrive during the daily workplace chaos. 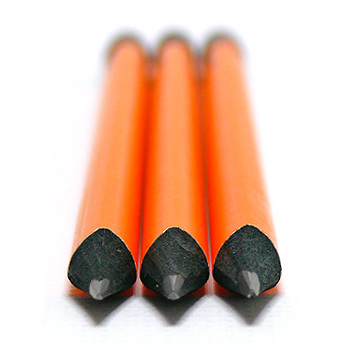 The triangular shaped Rhodia Pencil won’t roll off your desk and is comfortable in the hand. The orange body perfectly matches your orange Rhodia notepad and the black wood around the lead makes a bold statement. Rhodia Bloc Notepads are the iconic product that Rhodia is famous for: top staple-bound paper notepads and bright white 80g paper with a 5 mm x 5 mm violet grid. Each page is microperforated at the top so it can cleanly and easily be removed. 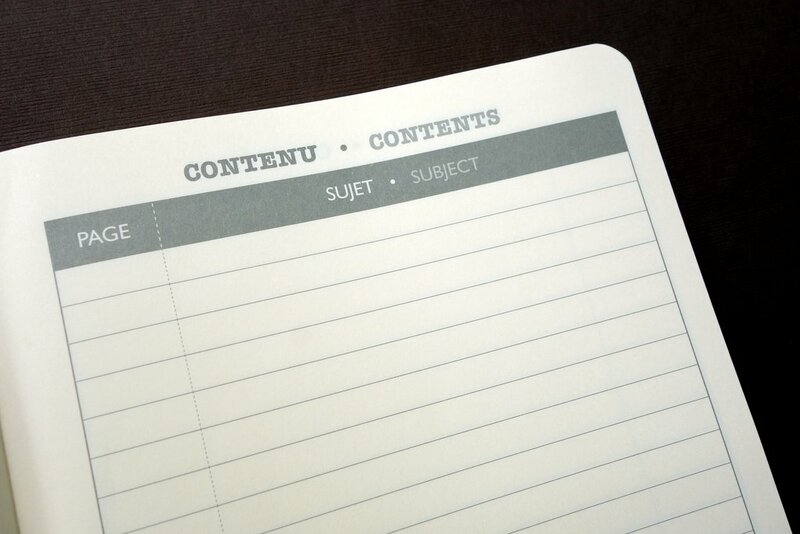 There are probably about a million different uses for these everyday notepads! These notebooks come in a wide range of sizes, colors, styles and paper types. Pull out a classy Rhodia Webnotebook to impress clients and coworkers at business meetings and the premium paper inside pairs perfectly with your executive fountain pen. 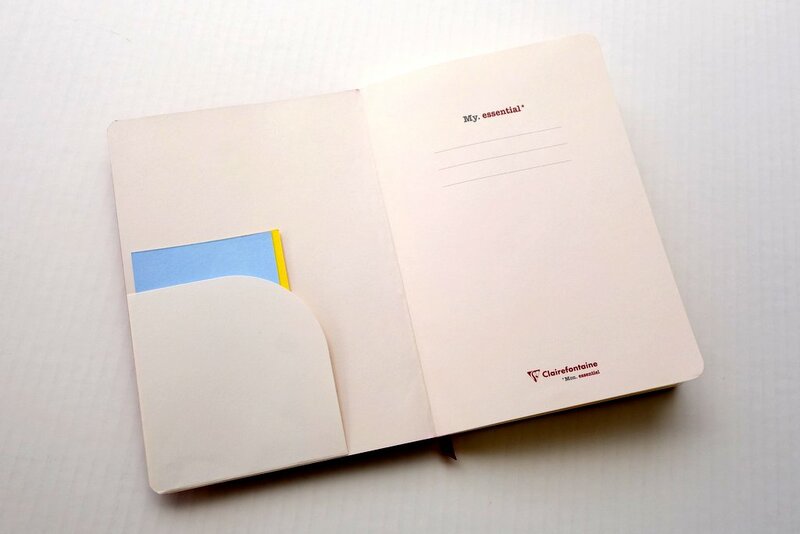 Rhodia Webnotebooks and Rhodiarama Flexible Notebooks are perfect for use as guest books, corporate gifts, etc. 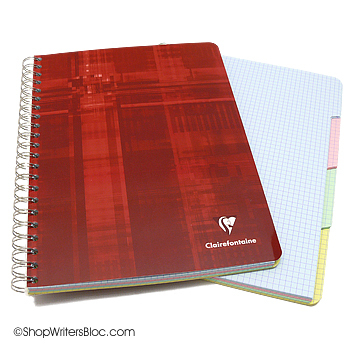 These durable notebooks are great for everyday notes and come in a variety of colors, sizes, formats and paper styles. 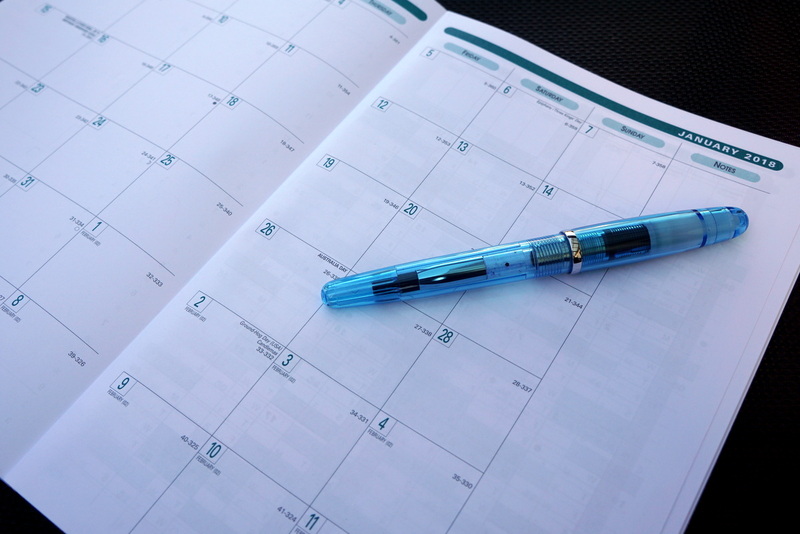 Who doesn’t need a calendar to keep their busy office schedule organized? The Rhodia Weekly Webplanner has your weekly scheduling on the left page and a page of Rhodia’s famous grid paper for notes on the right. 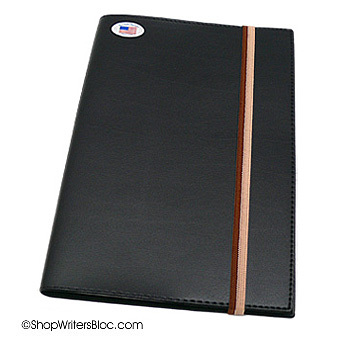 This leather-like hardbound planner has a stitched binding to keep pages from falling out. It’s available in pocket or desk size, with an orange or black cover. 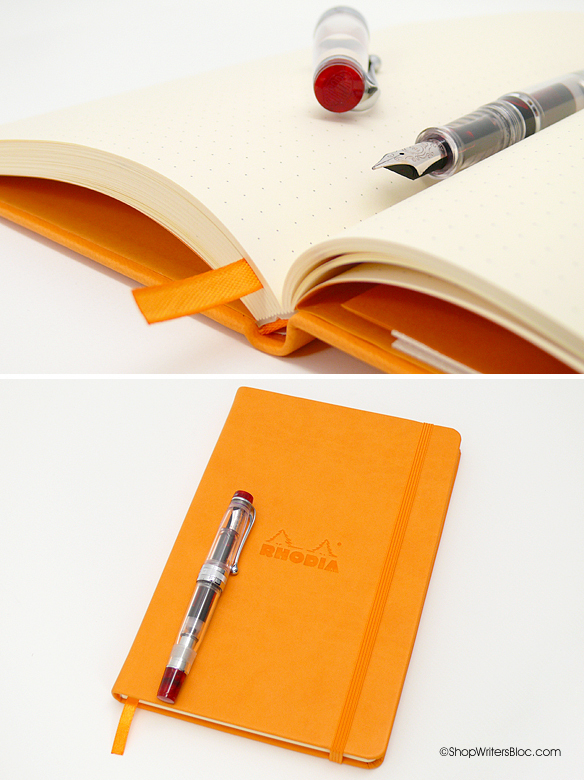 What are your favorite essential Rhodia products for work? 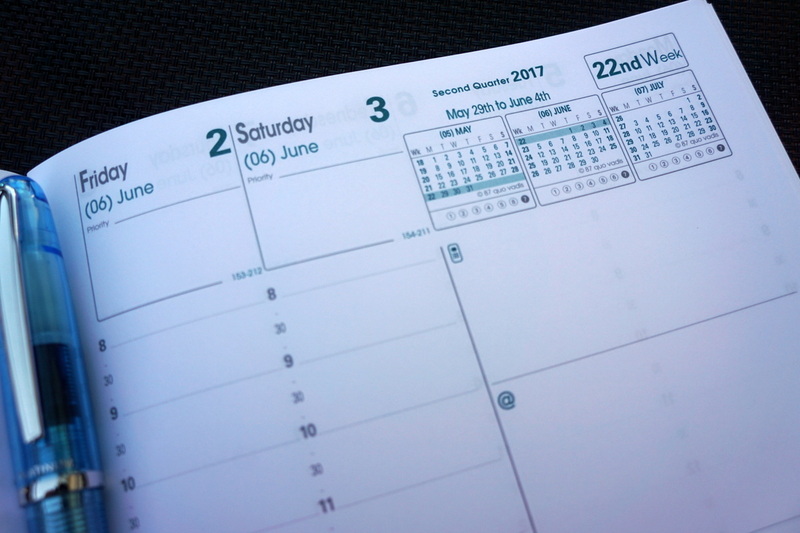 This year Quo Vadis is offering us a new and improved version of their Minister planner, available both in academic and calendar year formats. 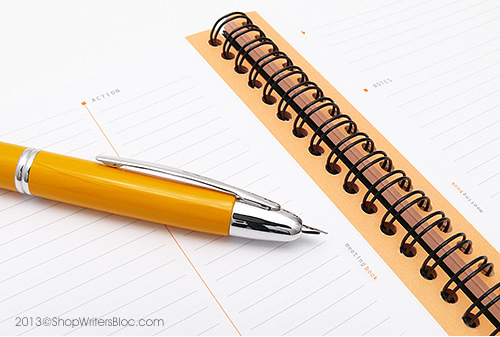 The Minister weekly appointment book was already an enduring favorite, so how was it improved? The most significant improvement to this planner is the addition of monthly planning pages, one page for each month of the year. 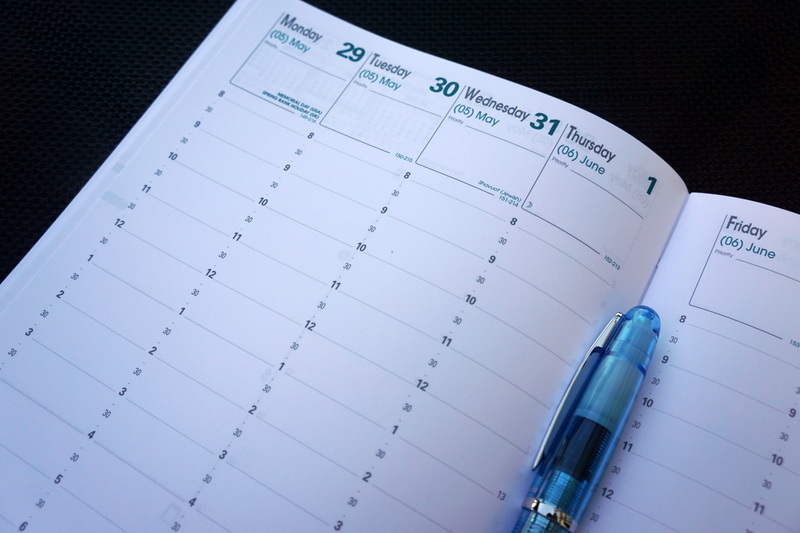 Each of the 12 monthly planning pages includes 6 Monday-to-Sunday weeks, so there is plenty of room to jot down notes on days just before or following the end of each month. Each day has a record of what day number of the year it is as well as how many days in the year are left remaining. The phases of the moon as well as some common holidays are also mentioned on their corresponding days. 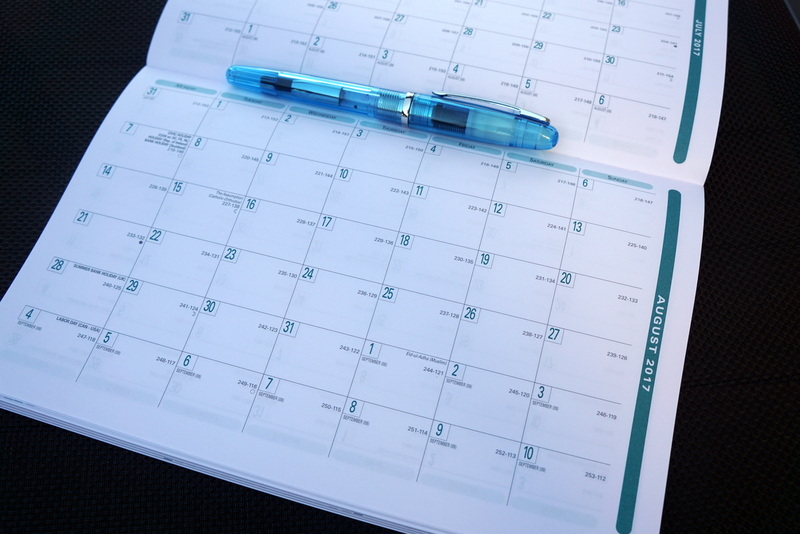 The monthly calendar grid gives you about 7/8″ x 1-1/8″ of space per day. The next thing I noticed is that the planner now has crisp grey and teal print instead of just grey print as is in my Minister from a previous year. The teal adds some subtle highlights without being too bright. The Quo Vadis Minister maintains its high quality with smooth, extra-white 90g Clairefontaine paper. The outstanding paper is definitely a major highlight of this weekly planner. This paper makes it easy to write on both sides of the page since it minimizes any ink showing through or bleeding through to the opposite side of the page. 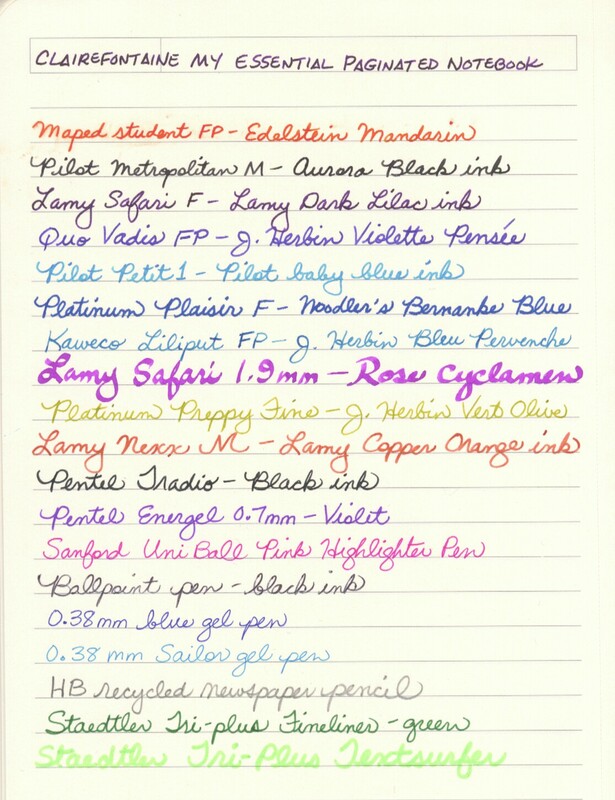 Fountain pens write like a dream on this paper! The contents of this planner have changed a little bit, especially in the beginning section, so if you’ve been using the Quo Vadis Minister to schedule past years you may notice a few differences. Immediately following the title page is a 2-page annual plan for the current year – the organization of your year at a single glance. 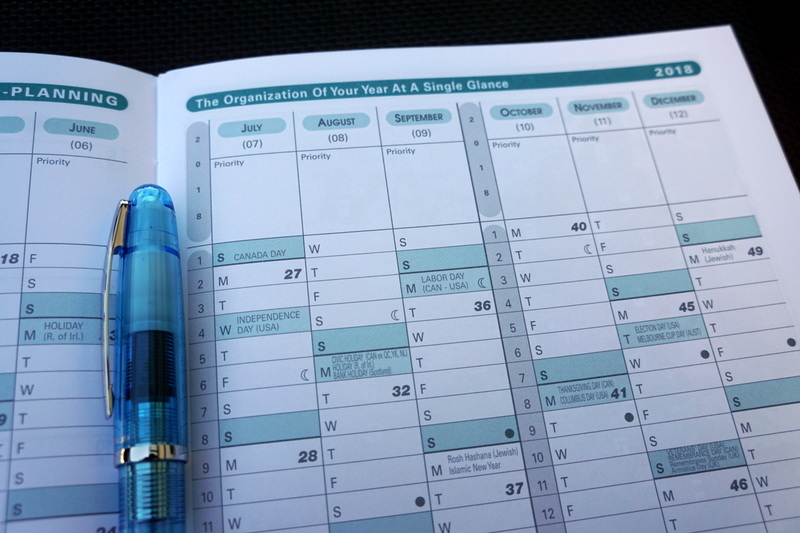 On these anno-planning pages each month has one column for jotting down outstanding events throughout the year. 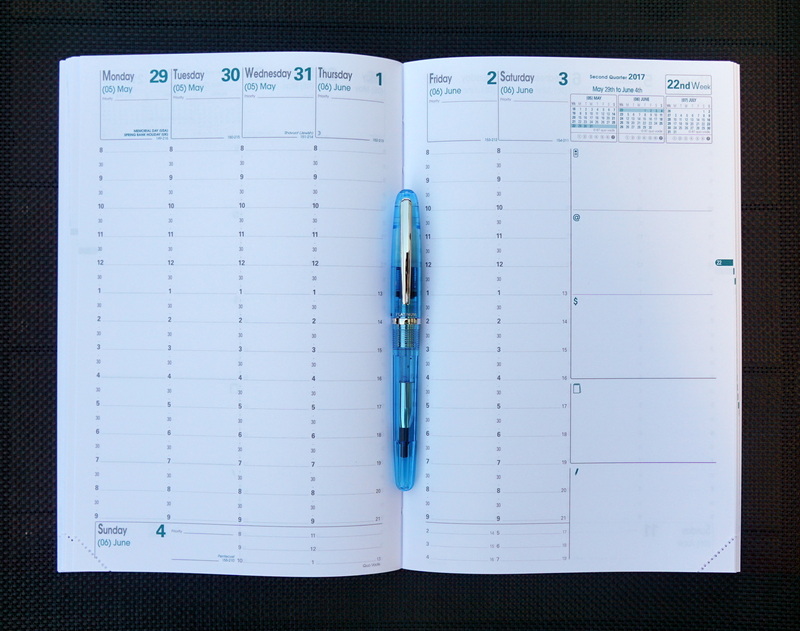 Here’s an example of a couple of pages where you’ll notice the teal highlights – each Sunday and major holiday has been highlighted with a pale teal color. Phases of the moon also show up on these pages. Following the anno-planning pages are the 12 monthly planning pages (mentioned above) and then the weekly planning pages begin. The final section following the weekly planning pages in the calendar year version of the Minister begins with a new 2-page monthly plan for January of the following year (different in the Academic version). 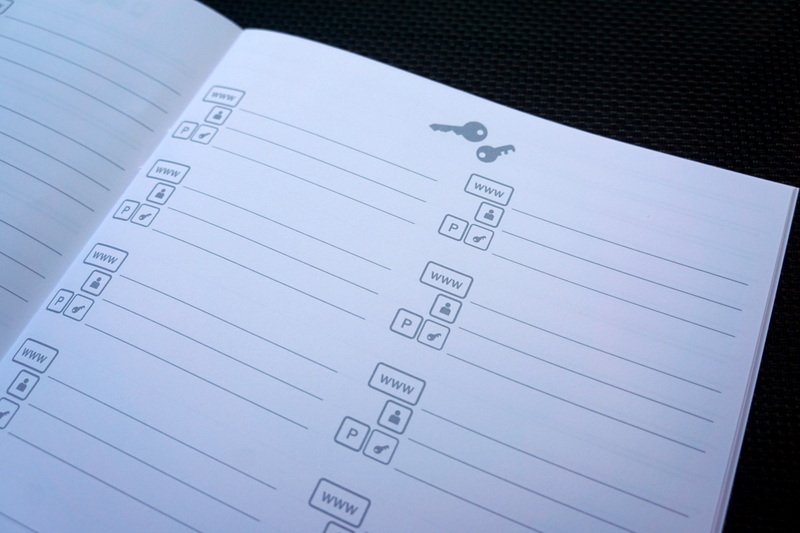 The features of this monthly plan are the same as the earlier monthly planner pages with the addition of a notes column on the right side of the right page. Then you’ve got another 2-page annual plan for the following year, world time zones and several maps, one lined notes page and a 3-year calendar on the very last page. The Quo Vadis Minister Planner currently comes with an extra booklet that serves several functions. Page 1 is ruled for notes, pages 2 and 3 are for listing important anniversaries, etc throughout the year. After this there are 6 pages for recording names, addresses, websites and email addresses. 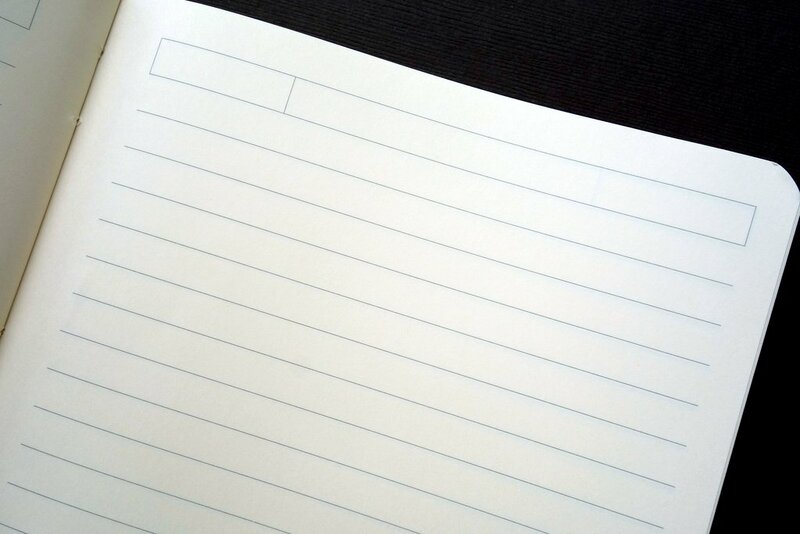 There are 2 pages for writing down your passwords, 9 ruled pages for notes, 8 blank pages and 4 dot grid pages. A little bit of everything is in here! Additional address/memo booklets can be purchased separately from the planner. The Minister has a sewn binding that enables you to open the book flat without the risk of pages falling out. It’s 6-1/4″ x 9-3/8″ in size (16 x 24 cm). Texas, Club and Soho leatherette covers are available as well as Duo Leather covers. These covers can be refilled year after year without having to buy an extra cover every year. 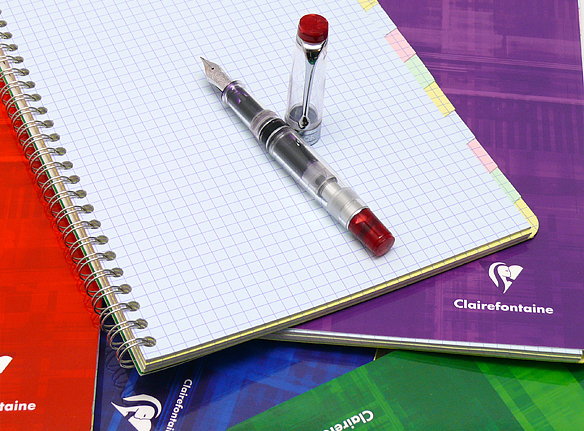 To check out a writing test to see how well fountain pens and other writing instruments perform on this paper take a look at our review of the Monthly 4 Planner that contains the same type of 90g Clairefontaine paper. Scroll to the end of the post and you’ll find our tests. Have you used Quo Vadis Planners? Which one is your favorite? If you have the need to refer back to specific notes at a future date after you’ve written them, the Clairefontaine My Essential paginated notebook is a useful organizational tool. 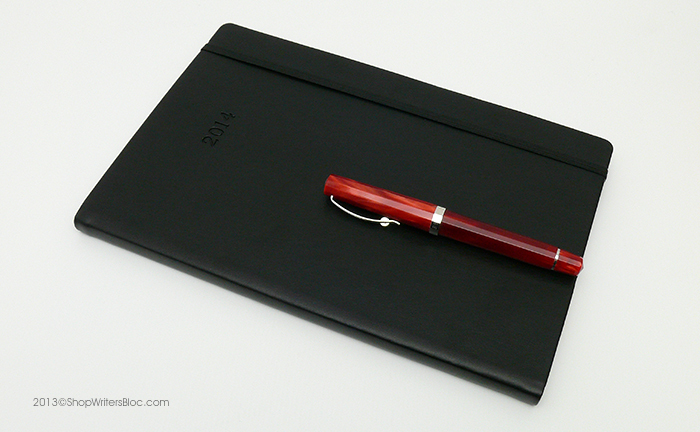 It’s similar to some other notebooks in the Clairefontaine Basics series (Age-Bag in Europe), but it has it’s own special features that make it unique. Besides the fantastic paper, the most important features of this notebook are the numbered pages and table of contents. The first numbered page starts with a 1 in the lower right corner and continues all the way to 184 on the final page. In front of the numbered pages is an eight page table of contents for keeping track of what’s in your notes and where. 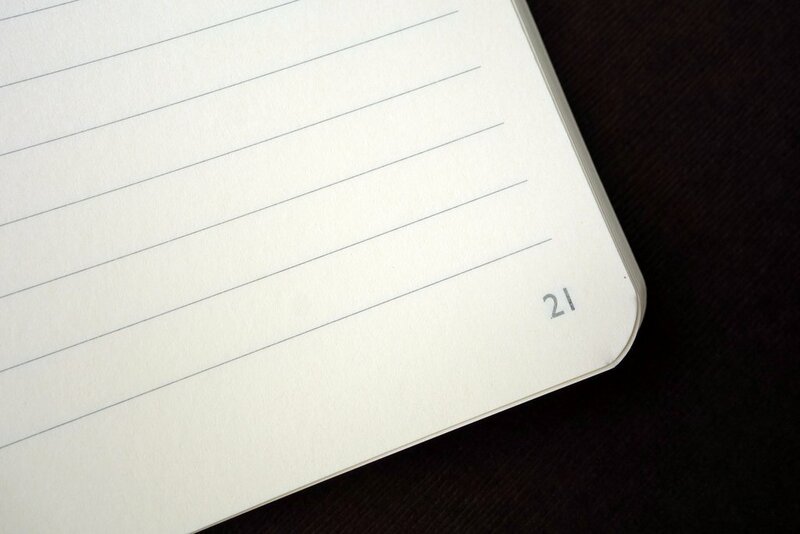 Each page in the table of contents has 24 lines to write in a page number and a subject. 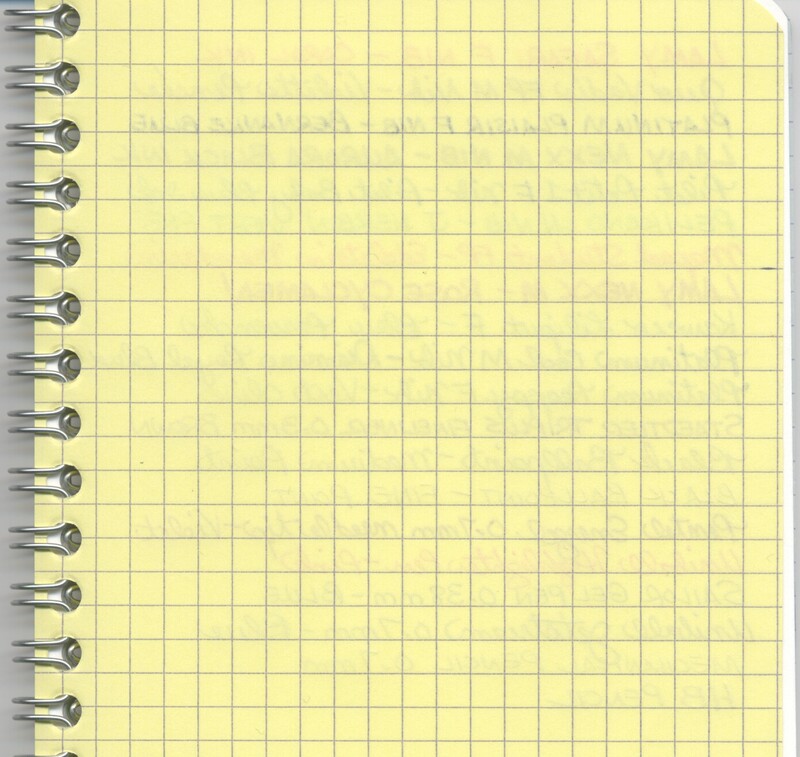 This notebook contains ruled paper with an 8 mm space between the lines. The lines and numbers are printed in a pale grey color and there is a header box on the top of each page to write in a title, date or whatever else you can think of. The lines do not go all the way to the edge of each page. 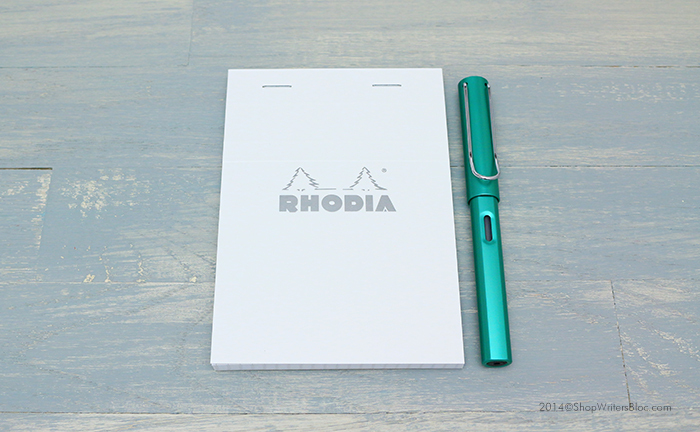 The ivory colored paper in the My Essential notebook is 90 g – similar or the same as the paper in Rhodia Webnotebooks. It is extremely smooth to help your pen glide across the page. It works great with fountain pens and there is very little (if any) ink that feathers, bleeds through or shows through the page. You can easily use both sides of each page without worry (see the results of our writing test at the end of this post). The paper is acid-free and PEFC certified. The last 8 sheets in the notebook (pages 169 to 184) are microperforated along the inside margin so they can be removed if you want. The notebook binding is stitched to keep the pages from falling out, so these microperforated sheets are handy if you need to remove a single piece of paper. 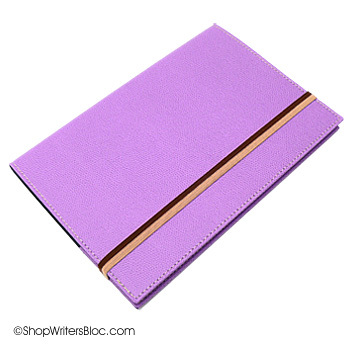 The stitched binding allows you to open the notebook and have it lay flat on your desk. Inside the front and the back covers is a small corner pocket handy for holding a few notes, receipts or business cards. It’s about 4″ x 4″ in size with a rounded corner and it is not expandable. The pages in the notebook also have rounded corners. The My Essentials paginated notebook has a matching elastic strap to keep it closed and one matching ribbon bookmark. The endsheets match the ivory color of the paper. I’m not sure what the weight of the endsheet paper is other than it is heavier than the 90 g paper inside. The front endsheet has a few lines to write in your name or other information. The back endsheet has some printed information about Clairefontaine. This notebook is A5 size, or about 6″ x 8.25.” The cover is made from textured hardboard, the same as the cover material used for other Clairefontaine Basics notebooks. It’s semi-flexible, and this particular notebook does not have a cloth spine. 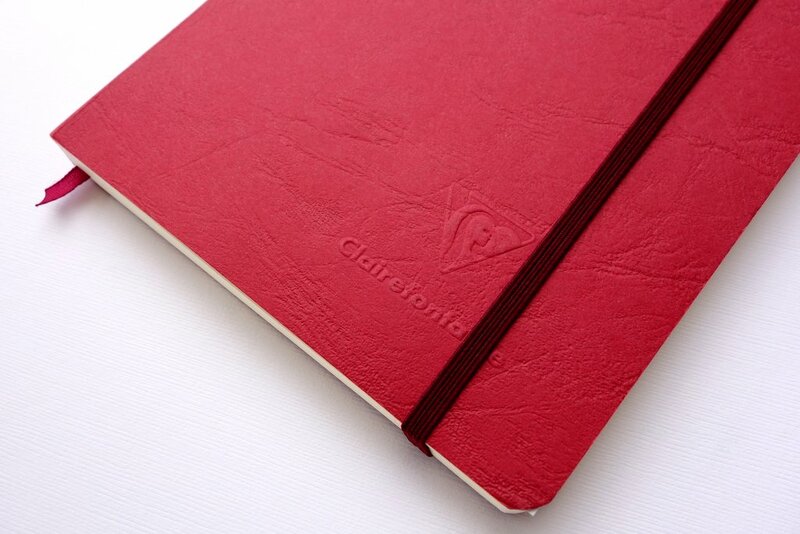 The cover is plain except for an embossed Clairefontaine logo in the lower right of the front cover. Currently the cover colors include Black, Tan, Red, Green and Blue. 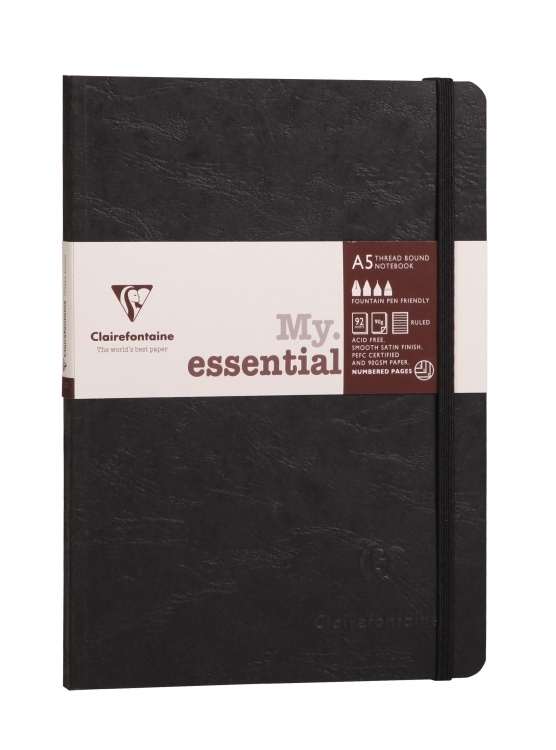 What would you use the Clairefontaine “My Essential” Paginated Notebook for? Recipes? College notes? Travel Journal? Meeting notes? Labs? Are you a modern day Beethoven or Mozart? Jot down your inspirations and melodies in a Clairefontaine Music Notebook that’s designed for music composition. 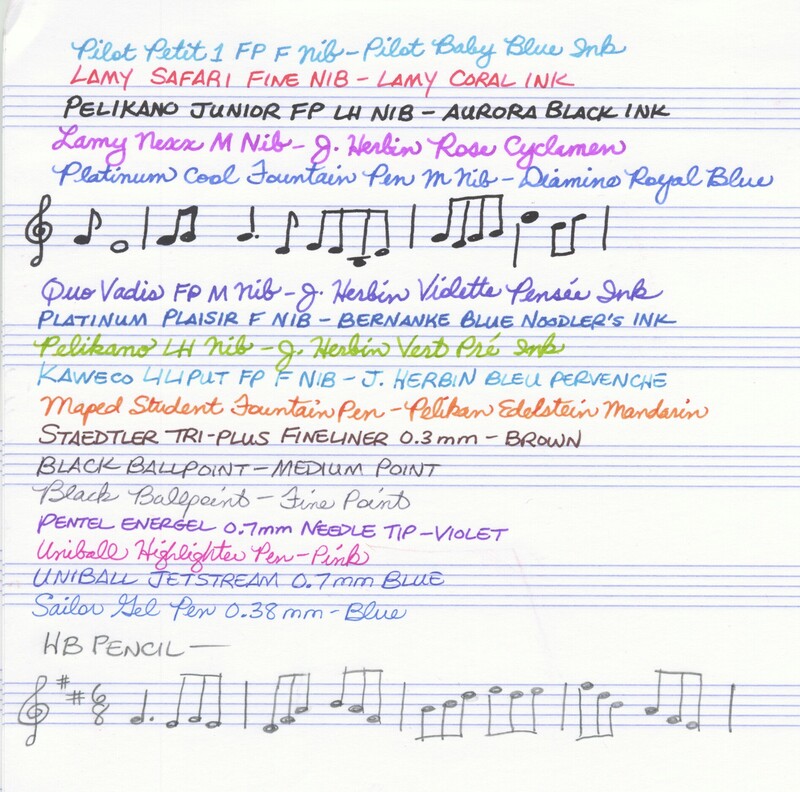 The greatest advantage of the Clairefontaine musician’s notebook is it’s high quality, super smooth 90 g paper. 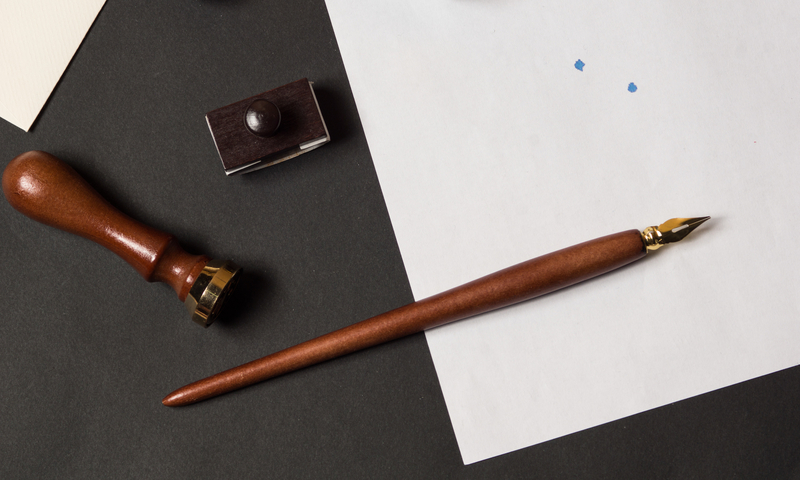 You can safely write on both sides of each page with minimal show through of pencil or ink, and little ink bleed-through or feathering – even if you use a fountain pen! Take a look at the scan of my writing test (below). 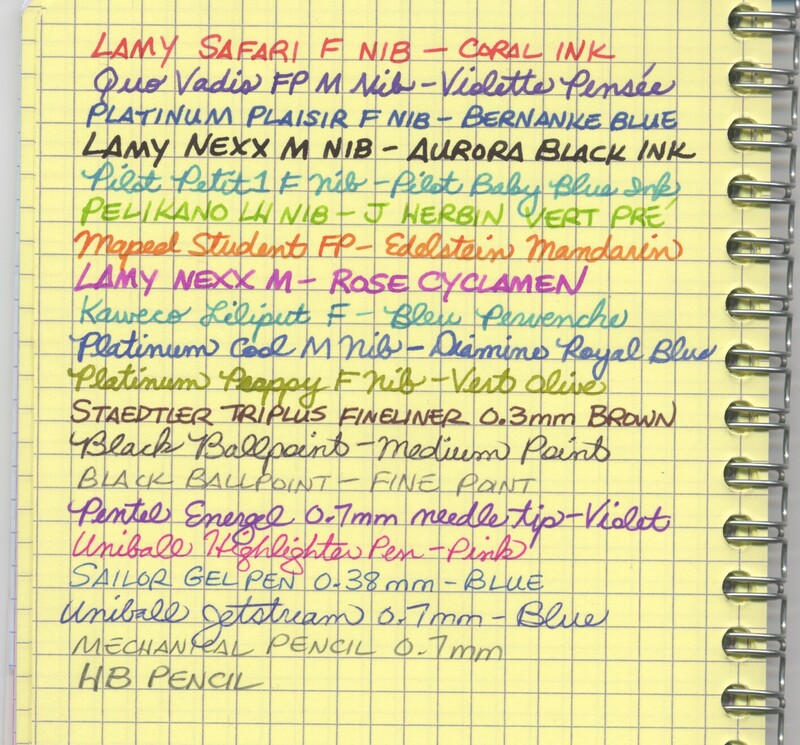 The only ink that showed a bit of bleed through was Noodler’s Bernanke Blue fountain pen ink. 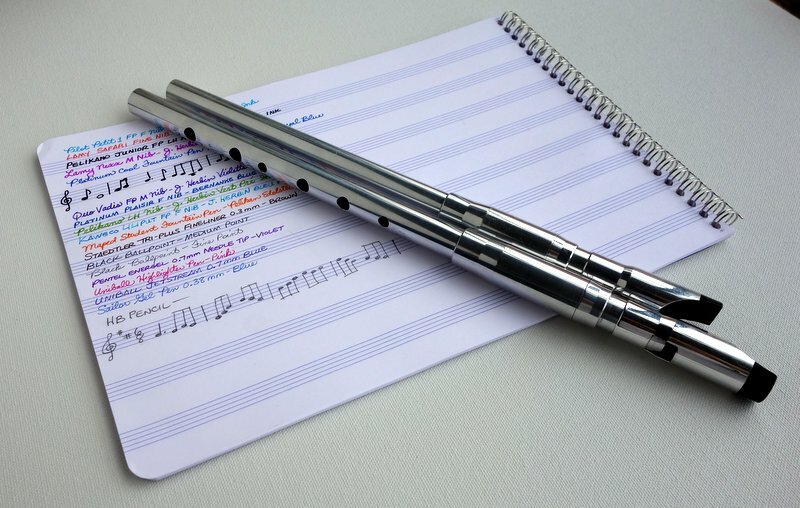 The paper is bright white printed with a violet lined musical staff – 8 staves with no clef on each side of the page, designed for general parts or lead sheets. The lines of the staves are spaced 2 mm apart, and each stave is evenly spaced about 15 mm apart. The lines are printed all the way to the edge of the page. 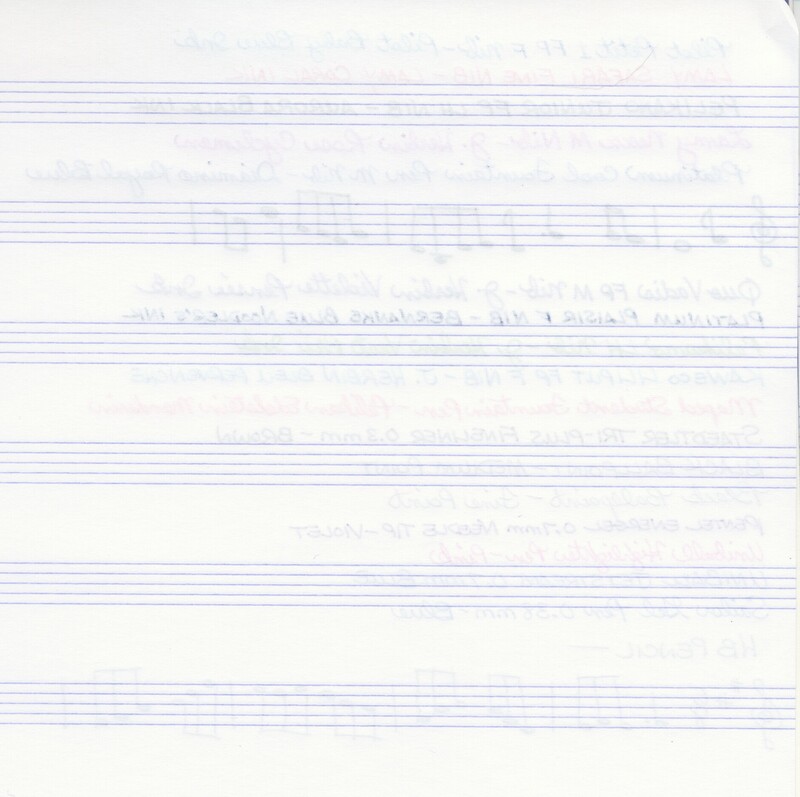 This sheet music notebook is in landscape format with a double-wire binding on the shorter edge of the paper. The paper is A4 size, approximately 8.25″ x 11.75″ and the overall notebook size including the spiral is about 8.25″ x 12″. 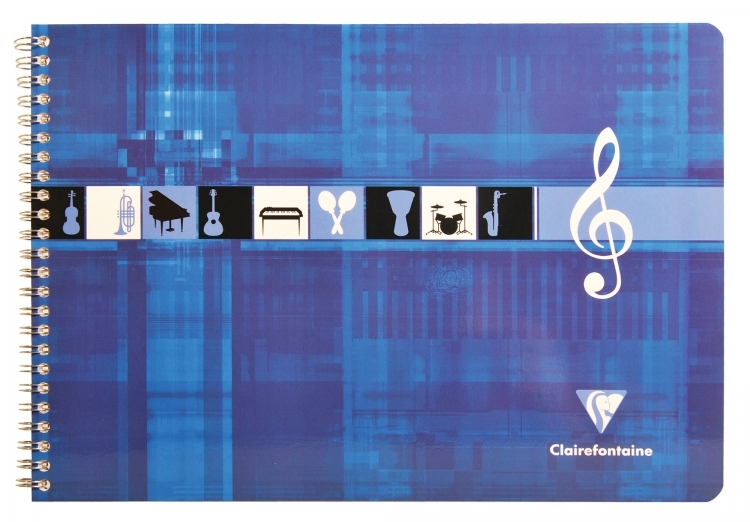 Clairefontaine also makes an A4 portrait format Music Staff Notepad with the same great paper and glue binding so that you can tear off the sheets if you wish. The notebook cover is made from laminated card stock. Each notebook contains 25 sheets of acid-free, pH neutral paper made from forests certified by PEFC or FSC as sustainably managed. I’ve been studying to play the Irish penny whistle for about a year now (whistles in the photos are from Burke Whistles), but most of my learning is by ear and my musical notation is terrible! Maybe one day I can do this notebook justice. 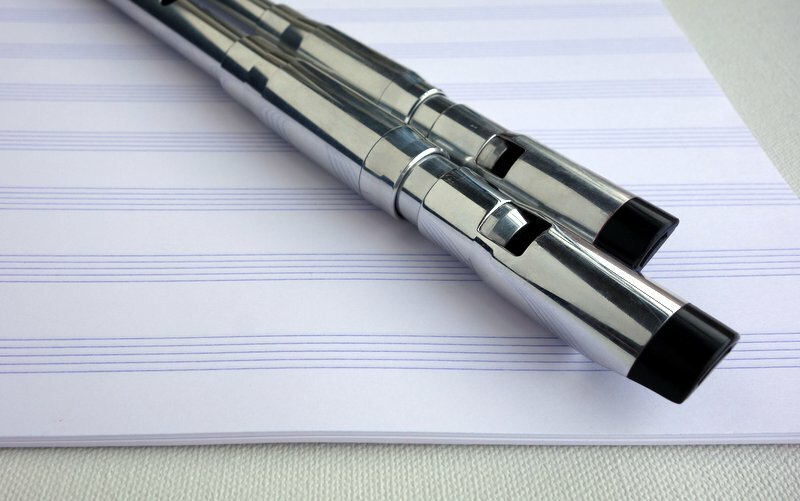 Do you use a blank sheet music notebook? What do you like to use it for? 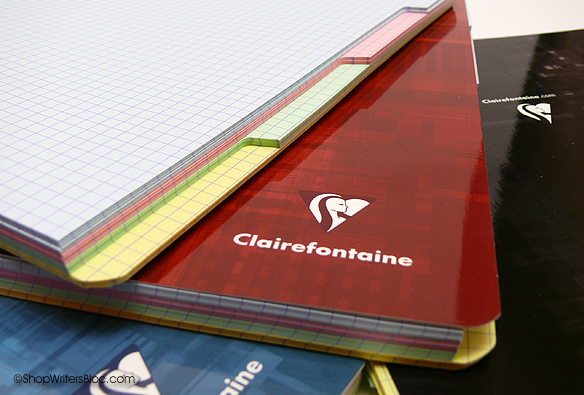 Clairefontaine is a French paper manufacturer that strives to make the world’s best writing paper. Multiple Subject Notebooks are part of their lineup that features paper with a perfect satin finish for maximum smoothness while writing. The calcium carbonate coating on this 90g paper gives it an exceptional smoothness and helps to prevent ink from feathering or bleeding through the paper. You can write on both sides of each page even when using a fountain pen! Take a look at the results of our writing test in the scans below. The paper is acid free, pH neutral and is made from materials sourced from from sustainably managed forests. 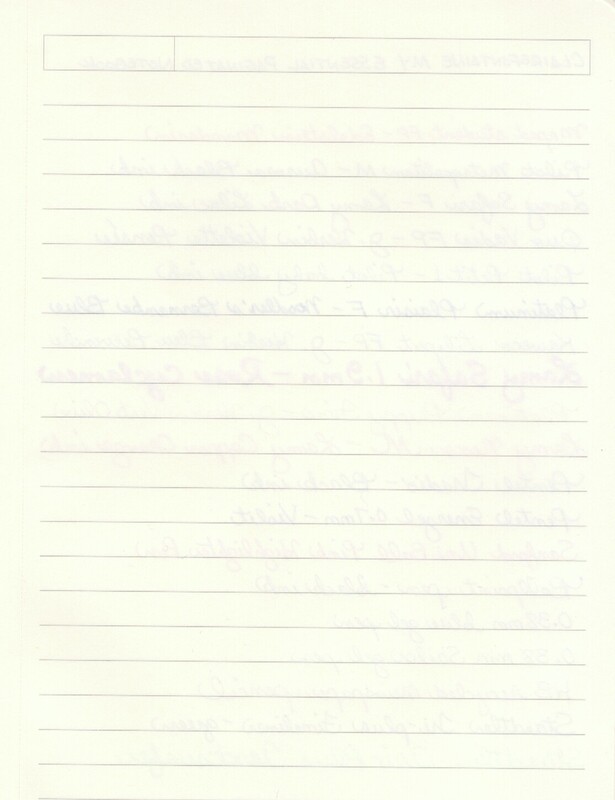 Multiple Subject Notebooks contain graph paper (squared) with pale violet lines that are spaced 5mm apart. 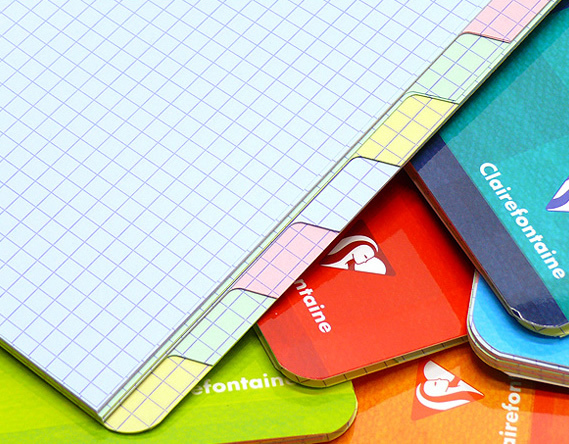 The notebook covers are made from laminated card stock and come in a variety of colors. 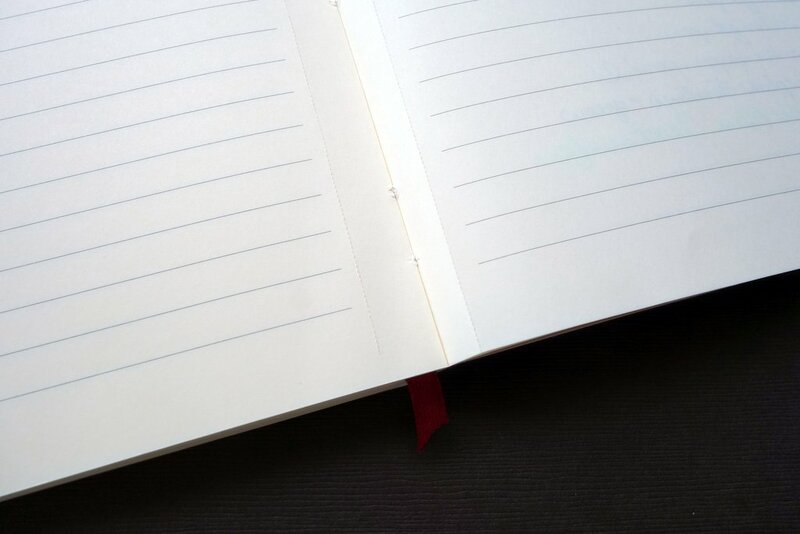 The bottom right corner of the front cover has a Clairefontaine logo, and the back cover has another logo with the company website and information particular to the notebook. Each notebook has a double-wire spiral binding on the side. 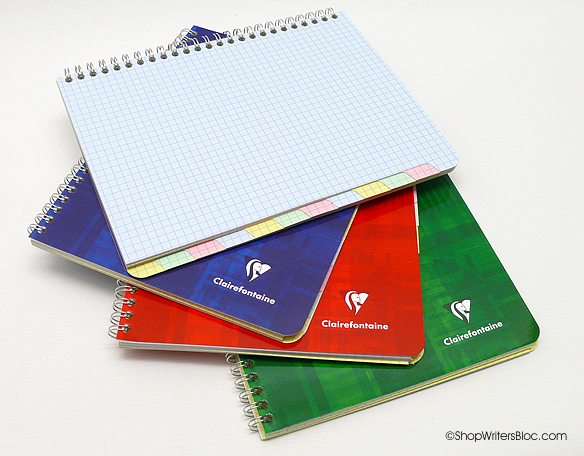 How do you use your Clairefontaine Multiple Subject notebooks?